Available in natural lavender fragrance or unscented. 2.5Kg tub is ideal for storage and topping up with the foil packs. 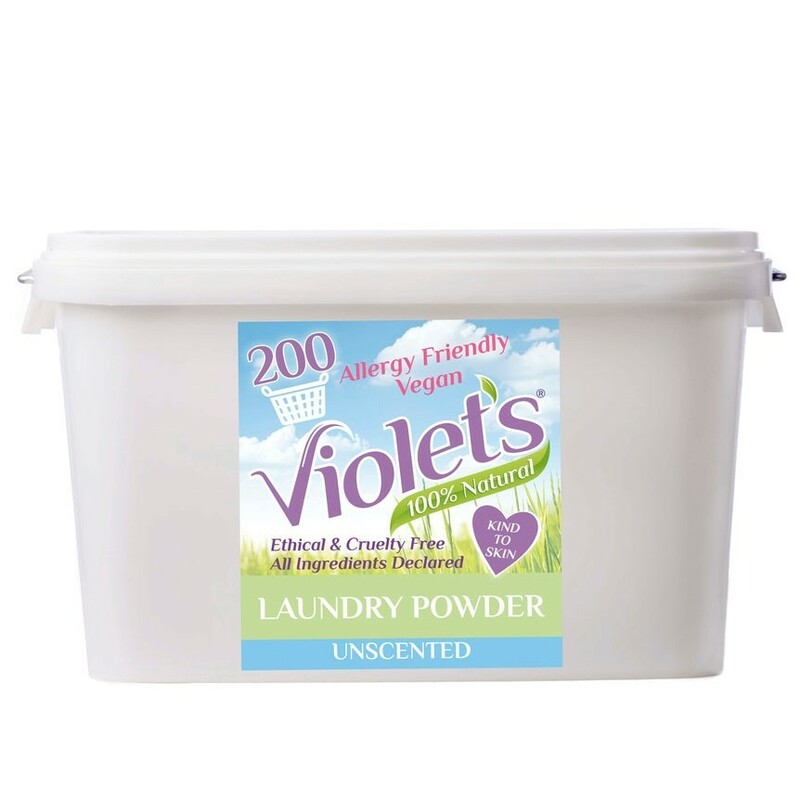 Ultra concentrated, hypo-allergenic, eco washing powder with unique plant and mineral ingredients. Vegan society certified, botanical & natural minerals, biodegradable and free from synthetic chemicals and brightners. 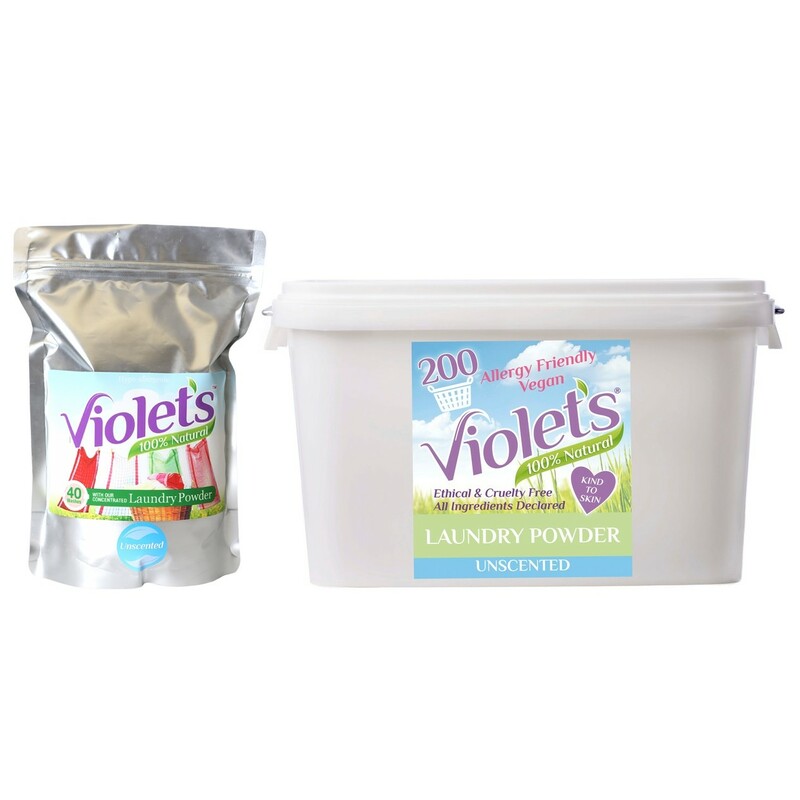 Perfect for washing clothes or nappies and great for sensitive skin and eczema because there's no nasty chemicals. 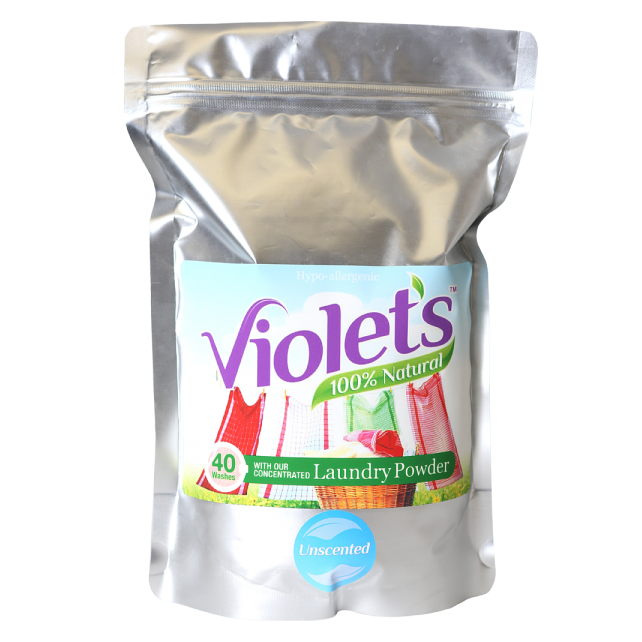 All natural ingredients including lavender soap and washing soda leave clothes clean, fresh and beautifully scented. Go on, give it a try!